As Americans, we are all closely connected to our nation’s service members and veterans. After all, it is their service and sacrifice that secures our most cherished freedoms and rights – including the liberty for all of us to openly live out our faith. For many of you, that connection is very close to home, because your own family serves in the military – maybe your brother, sister, wife, husband, uncle, father, mother, or even one of your own children. And if it’s not a relative, you can likely name a good friend, or one of your co-workers, or someone in your house of worship who serves our country in uniform. 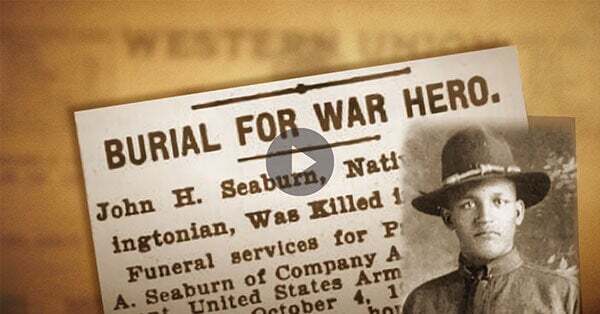 In this special edition, we’re sharing with you the story of Alvergia Guyton and her late uncle, John Henry Seaburn Jr., who sailed to France to fight in WWI, and ultimately laid down his life in the line of duty at the young age of 20. Today, John Henry’s name is engraved on the plaque of the Bladensburg WWI Veterans Memorial, a gravestone built by the mothers, wives and friends of the 49 heroes from Prince George’s County who died in the Great War. On February 27th, our team was at the U.S. Supreme Court for the final battle – to keep the Bladensburg Memorial standing, so that Alvergia, and Americans like you, can forever gaze at this living reminder of the sacrifice of our nation’s service members. 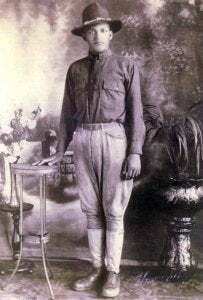 John Henry Seaburn, Jr. was a Private when he was sent off to France in March 1918. Seaburn served as part of the 372nd U.S. Infantry, 93rd Division, a segregated unit historically referred to as the “Red Hand” Division. Wounded while engaged in action with the enemy, John Henry died on October 4, 1918. He was buried in the French Military Cemetery in Auve, Marne, France, where his grave was marked with a cross-shaped tombstone. Like John Henry, thousands upon thousands of our brave military heroes often pay the ultimate price, giving their lives for the cause of freedom. 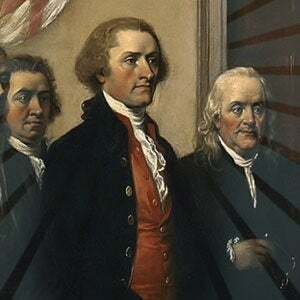 So, for just a moment, think of how much of an affront it would be if someone tried to undermine the sacrifice – or to completely erase the memory – of our military heroes, especially the ones with whom you share a direct connection. Indeed, Alvergia understands that history teaches us a great lesson: we forget what we do not see. And it would be a disservice to future generations to remove not just a piece of a history – but a memorial that is a living reminder of the cost of war, namely the high price often paid with the lives of young service members like John Henry. Together, we can make history at the U.S. Supreme Court. But although there are opponents who wish to erase history, there are millions of Americans – like you and Alvergia – who never want to forget the immeasurable sacrifice of our fallen heroes. You could say, in a way, that it is our duty to ensure that they are never forgotten. That’s why the Bladensburg Memorial case is so important. Because it isn’t just about a concrete and bronze structure—but about the flesh and blood of valiant men like John Henry.